Music by SHEL, Stronger Than My Fears – hear them live at our Closing Night Concert. 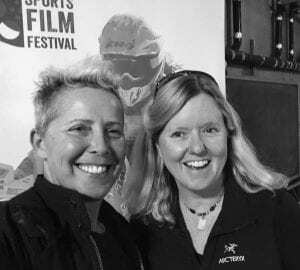 In this episode Director Dayla Soul joins us to talk about her film, It Ain’t Pretty which chronicles the challenges and triumphs of female big wave surfers fighting sexism in the water, in competition, in the media and in the surf industry. It Ain’t Pretty screened at the Women Sports Film Festival as part of our Community Film Series on March 29, 2018. Dayla Soul with our podcast host Jennifer Matt.